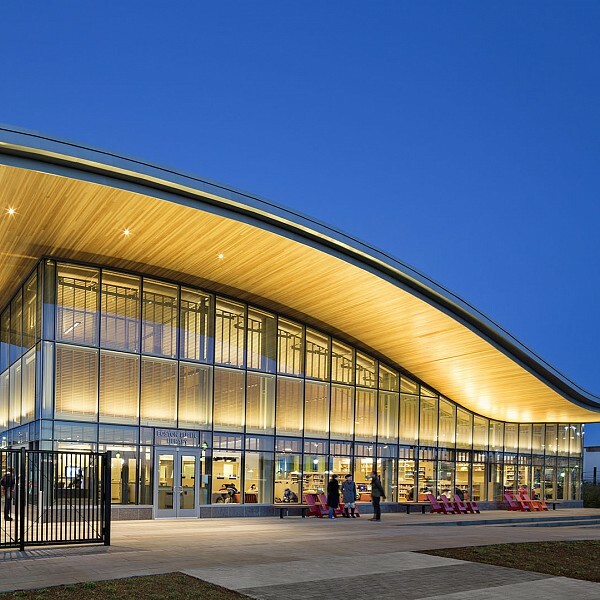 Description: The new East Boston Public Library facility encompasses approximately 15,000 sf and includes an open-plan community reading room with views of the park and the Boston skyline, dedicated areas for adults, children, and teens, a quiet reading room, a conference room, and a community space for multipurpose programs. A Reading Porch runs the length of the building along the park, providing outdoor space for reading, congregating, and using the wireless network. Plan flexibility and a focus on early literacy programming define this compact, technologically advanced branch library.